An electrical current is the flow of electrons in a wire. Electrons flow when you have a “closed loop” – a path from the negative to the positive terminal of a battery. For example if you connect a small light bulb to the positive and the negative side of a battery, you will get a closed loop where electrons can flow and make the lamp shine. “Electronics” control electrical currents by combining different components. There are many basic electronics components available to enable different types of functions in your circuit. 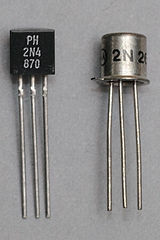 Two of the most important components are the resistor and the transistor. 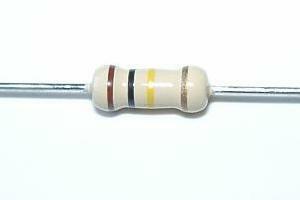 A resistor doesn’t “do” anything actively. But you use it to set the right current or voltage level. With a transistor you can amplify your signal, invert your signal or lots of other stuff. Transistors make up logic gates which makes up all digital electronics such as a processor in a computer. To make any electronic circuit, you start with a schematic diagram. A schematic is a drawing of a circuit. It tells you which components are needed and how to connect these components. 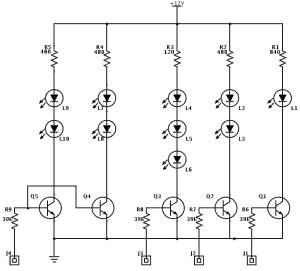 You can either design your own schematics or find free schematics available online. There are some basic electronics theory you should know when designing schematics. You should at least know how to work with series and parallel circuits. Ohm’s law describes the relationship between current, voltage and resistance. This lets you calculate the correct resistor values you need for different parts of your circuit. Thevenin’s theorem explains how you can simplify complicated circuits to make it easier to do calculations. Kirchhoff’s current law states that the sum of all currents going in and out of a node is equal to 0. Kirchhoff’s voltage law states that the sum of all voltages in a circuit equals 0. From the schematics, you design the circuit board. You do this by drawing the wires from the schematics and placeholders for the different components. 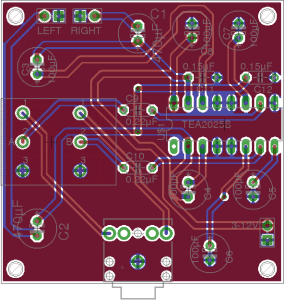 When your circuit board is created, you solder your components on to the board. Voila! Your electronic circuit is complete. You are talking to English-speaking hobbyists. Thanks for pointing that out. In Norway we use “U”, so I thought it was universal. Electrons flow when you have a “closed loop” – a path from the positive to the negative terminal of a battery. 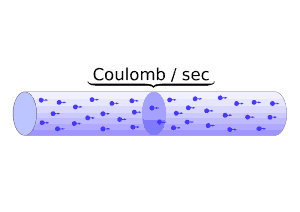 Electrons flow when you have a “closed loop” – a path from the negative to the positive terminal of a battery. But in the end it doesn’t matter as long as you choose one for your calculations. when using resistors, lets say i have a positive wire and negative ran to a battery do i need to to put a resistor on both the + and the – or just one. Thank you for the time and effort you freely give of yourself to maintain this informative web site. I believe there are certain educational misconceptions whereby a person may not have access to particular courses of their desire based on substandard communicative abilities. There exist antiquated guidelines and perceptions in the educational system in the US. Children and young adults are demeaned and labeled, ie; “learning DISABILITY”, Attention DEFICIT DISORDER”…etcetera”. I don’t know of any benefit there is by calling a child disabled especially when it’s not a disability yet rather an ability, an ability to learn in an uncommon manner. Personally, I have found many of the children labeled as such exhibit remarkable hand I coordination and have many natural skills or abilities far exceeding those who are not labeled as learning disabled. Therefore, I recognise and commend your ability to explain basic electronics in a “plain english” style. Thank you, again! P.S. Although it is essential to correct any errors or misstatements when referring to an electronic function, it is not so vital your grammar be judged so harshly by others ;/ they should probably cut you a little slack huh? Thanks for your support Chaz! does that your text book Getting Started With Electronics have a hard copy of it, if so how can I get it.